Like all Black Edge™ detailing products, this Tire Gloss lives up to its name. No other product anywhere is easier to apply or delivers such a stunning, high gloss, Jet Black shine. Never, ever leaves a greasy, slingy mess or gel to clean up. 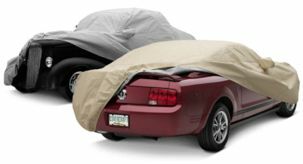 100% safe for clear coats while delivering unmatched protection from UV rays and the elements. Black Edge™ Tire Gloss delivers that wet, deep, Jet Black gloss and repels dust and dirt to keep your tires looking like new for weeks.